MORE THAN 10,000 applications have been received by RTÉ for tickets to the Late Late Show’s London special. The news was confirmed by RTÉ, which told TheJournal.ie that the tickets will be allocated via a lottery. There are just 1,000 tickets available for the once-off Late Late Show special, which will take place on 12 October. I don’t think I can recall the last time I presented a programme in front of so many people, especially live, from another city, on a Friday night. I’m not worried at all! I’m just extremely proud of what’s going to happen, and I just hope we deliver on the expectations… The feedback from Irish people and related to us and so on in the UK, who are looking forward to us coming over, is just so warm and exciting. Tubridy will also present his radio show from London on Thursday 11 October and Friday 12 October. He said it’s to say “Brexit won’t tear us apart”. 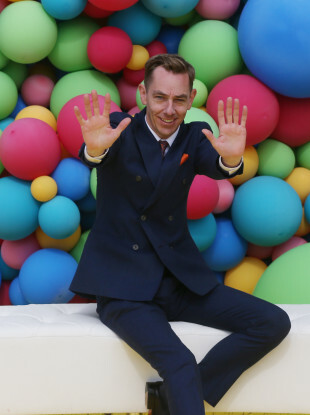 The show will focus on culture, sports, entertainment and more, and will include “the best and the brightest of the Irish succeeding in Britain”, Tubridy said. This year marks Tubridy’s tenth year presenting the Late Late Show. Email “Over 10,000 people apply for tickets for Late Late Show London special”. Feedback on “Over 10,000 people apply for tickets for Late Late Show London special”.